At this year’s EuroTierin Hannover, Schäffer is presenting the new 2630, a compact loader that scores top points foragility and driving experience. The 2630 is the first machine in its class to use Schäffer’selectronically-controlled drive, which gives greater driving comfort, reduced operating costs and improved efficiency over the 2630’s predecessors. 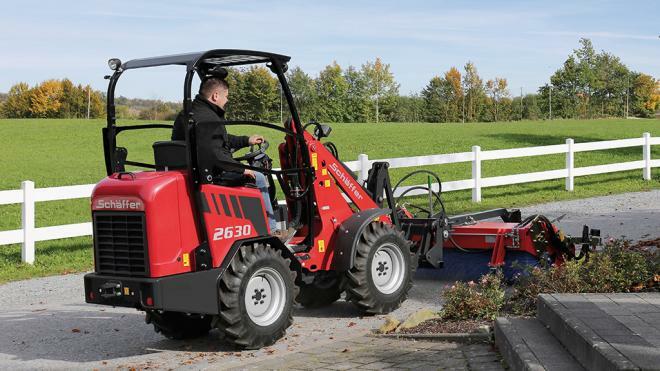 The Schäffer 2630 succeeds the popular 2034, a compact loader particularly well suited to smaller and medium-sized farms. The new 2630is a powerful 18.5kW/25PS loader, and the only machine to combine a high-pressure drive concept with an electronically-controlled autodrive. The 3-cylinder motor from Kubota has a 1.7lcylinder capacity and therefore a particularly high torque.With a high working pressure of 510 bar, the quantity of oil required for the drive and working hydraulic system is reduced, leading to improved efficiency and fuel savings.Another major advantage of the high-pressure drive is rapid acceleration up to 20 kph. For this, a cardan shaft ensures power transmission to the front axle, guaranteeing high levels of thrust. New 6-hole axles further increase the efficiency and reduce fuel consumption due to their adapted transmission ratio. Additional driving comfort and preformance is provided by High Traction Force (HTF) and Schäffer Power Transmission (SPT). HTF is an automatic thrust control system that allows the loader to deliver the highest thrust, even in high gear. This means manual downshifting is not necessary when driving uphill or into a pile. The 2630 is the first machine in its class to useSPT– the electronically controlled drive from Schäffer, which has proved successful in the machines of the larger Schäffer series.SPT gives a significant increase in machine efficiency, improved agility and offers the driver a number of new possibilities, including cruise control to keep the machine at a constant driving speed regardless of engine speed, which is particularly advantageous when working with feed dosing devices, straw distributors, mulchers or brooms. 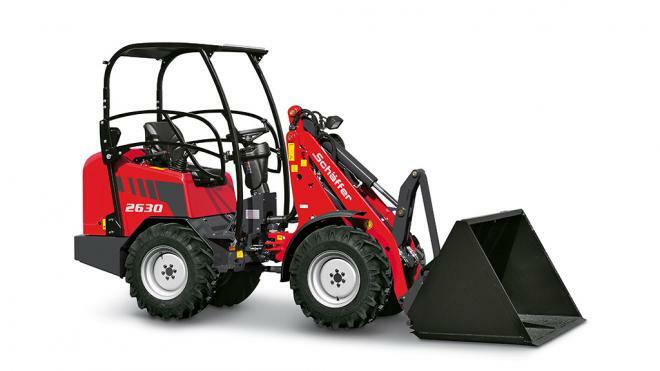 Schäffer Maschinenfabrik GmbH is one of the leading manufacturers of compact yard, wheel and telescopic wheel loaders used in agriculture, garden and landscape construction, and by the construction and other industries. From a particularly low compact yard loader to an articulated telescopic wheel loader with a working weight of 13 tons, Schäffer is one of the leading providers of articulated loaders in Europe. Schäffer is known as an innovative, flexible and international company with an exclusive range of products. Find out more at www.schaeffer.de/en and at our website www.bulagro.com.